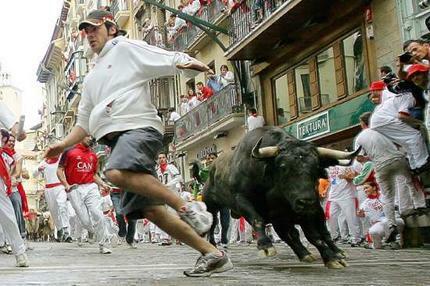 THE annual San Fermin Festival and Running of the Bulls in Pamplona will take place from July 6 to 14. The Department of Foreign Affairs and Trade is reminding Australian tourists the event is dangerous. “Each year some participants are seriously injured and there have been numerous deaths associated with the event,” DFAT said in a travel bulletin issued on Monday. Some foreigners have also been injured or killed by jumping off fountains during the festival, DFAT said.